An organisation known as the Islamic Education and Research Academy (IERA) booked a room at UCL for a debate on Saturday evening (9 March). 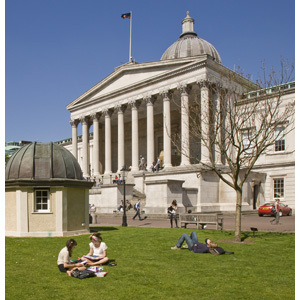 UCL was notified during Friday by some individuals planning to attend the event that the organisers intended to segregate the audience by gender. This was directly contrary to UCL policy. We do not allow enforced segregation on any grounds at meetings held on campus. We immediately made clear to the organisers that the event would be cancelled if there were any attempt to enforce such segregation. We also required the organisers to make it explicit to attendees that seating arrangements were optional, and guests were welcome to sit wherever they felt comfortable. We also arranged for additional security staff to be present to ensure that people were not seated against their wishes. It now appears that, despite our clear instructions, attempts were made to enforce segregation at the meeting. We are still investigating what actually happened at the meeting but, given IERA's original intentions for a segregated audience we have concluded that their interests are contrary to UCL's ethos and that we should not allow any further events involving them to take place on UCL premises.